Clergy: Rev. Kris Kaitapu, ss.cc. 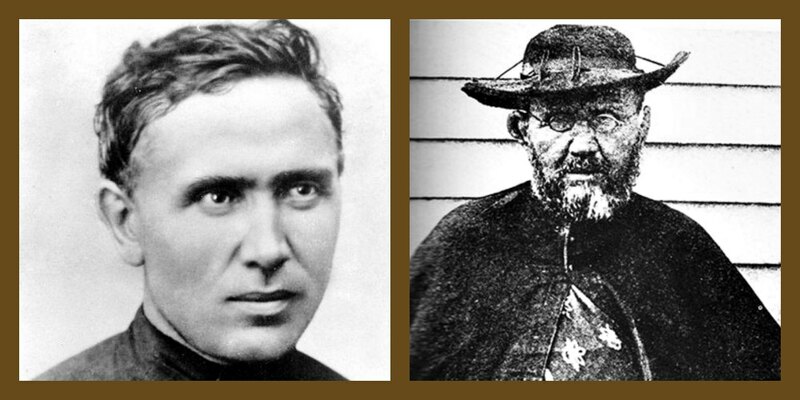 Saint Damien built four churches on the island-two of which are still standing today with Our Lady of Seven Sorrows Church which is one of the two. It is located in Kalua’aha right across from Ni’aupala Fishpond and was built in 1874. Damien describes the construction in one of his letters: “During the summer, I went to another part of this island, where I remained four months, in the character of carpenter, putting up a new church, 44 feet long, 22 wide, with 10 Gothic windows and a tower 50 feet high.” The crucifix is the central focus of the worship space. In the early 1960s, the church was rebuilt. 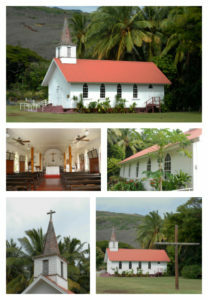 The new structure retains the character, dimensions and styling of Father Damien’s original church. 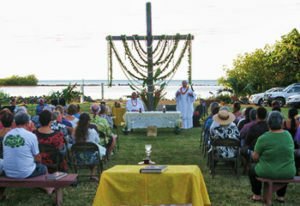 A large wooden cross on the expansive lawn on the property, faces the ocean and serves as the site for the parishes’ annual Easter Sunrise Mass.